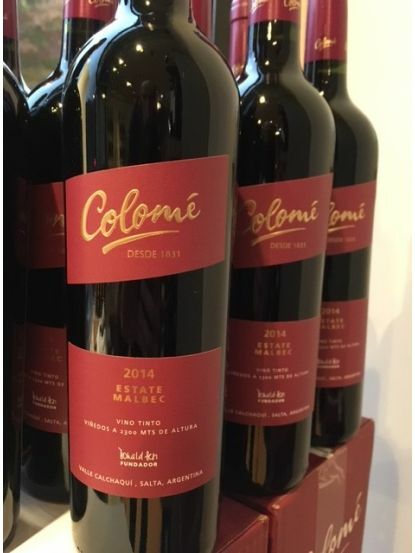 Bodega Colome are regarded by many as Argentina's finest, they also lay claim to the highest (3200m) vineyard and are one of the oldest, established in 1831, all of which matters but not as much as the pure quality of their wines which are, to be frank, totally delicious. The Estate Malbec comes from fruit grown at between 1700 & 2600 metres above sea level, farmed biodynamically and matured slowly at altitude, all factors that give added dimensions and wow factor to this generous and rich red. Bags of berries, cherries & currants, chocolate, spice and warmth all sit in a happy cacophony of joy that just oozes appeal and downright yumminess.